Among McQueen’s more perplexing contrasts was the way that the star of classic films like The Great Escape, Papillon and Bullitt treated his body, abusing it and looking after it with almost equal vigor. The actor was notorious for his hard-living ways, with a particularly fondness for fast cars and beer, but he was also a devoted fitness buff in his spare time, working out with a personal trainer, boxing, and taking martial arts lessons in his well-appointed home gym. One of the most iconic and enduring photos of the actor, in which he works a heavy-bag wearing nothing but a loose pair of sweatpants, ratty handwraps, and a stony expression, was taken in that very gym by a photographer for Life magazine in 1963. McQueen’s primary motivation for such a dedicated physical regimen was that he wanted to be in the best possible shape for his race car driving hobby and his fairly extensive stunt work on his own films, but his friend and Jeet Kune Do instructor, some guy named Bruce Lee, believed there was more to it. McQueen’s physical expressions were a bit on the extreme side sometimes. When the same interviewer asked Lee who among his famous students was the best fighter, the master praised his friend’s toughness, but found Coburn a more philosophical and technical student. 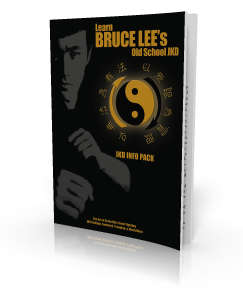 “He often told me, ‘I would like to see Steve McQueen be a little bit more like Coburn and Coburn be a little bit more like Steve McQueen,’” Jeet Kune Do instructor and martial artist Dan Inosanto says in the 2013 documentary I Am Bruce Lee. But Lee also admired McQueen’s work ethic, which was about as extreme as everything else about the man. The actor then dragged Lee to his office while they were still in their sweaty workout gear. “It was kind of funny, Steve looked like a bum off the street and everyone was looking up at him and kept calling him ‘Mr. McQueen,’” Lee recalled. McQueen could train hard, but he has issues with consistency. Between his work as an actor, his business ventures and his all-consuming love of car and bike racing, he didn’t always have much time for martial arts. When the actor had spare time while filming a new picture, he’d sometimes pay for Lee to join him on set. “Steve flies me in because he wants to talk to somebody else besides the same guys he works with all day. I guess he gets sick of seeing them day and night. We usually talk about life or philosophy and work out a little. It gives Steve a break from what he’s going through. No, I don’t stay long, just a couple of days,” Lee said. The actor clearly didn’t think that was a fair enough exchange, though. As a result, Lee often found himself on the receiving end of McQueen’s famed generosity. The star tried his best to treat his pal to a number of extravagant gifts, including a Porsche and a downpayment on a house. Lee was also treated to McQueen’s mischievous side on occasion. The latter once sent the former an autographed 8×10 of himself, which read, “To Bruce Lee, one of my favorite fans.” This was at the height of both their friendship and Lee’s fame. And when McQueen found out that Lee was interested in getting a Porsche, he decided to take him for a terrifying joy ride down Mulholland Drive in L.A. The legendary martial arts hero ended up cowering on the floor of the car and threatening to kill McQueen. Although their training tapered off toward the end of Lee’s life, their friendship only became stronger. Lee’s death in 1973 was a painful blow. Despite his notorious distaste for funerals, McQueen traveled to Seattle to be one of Lee’s pallbearers.